Samsung are at the peak of consumer technological innovation and their products infiltrate our existences at every turn. The modern mobile phone has become something of a showpiece for a manufacturers wares and Samsung certainly excel in this department. 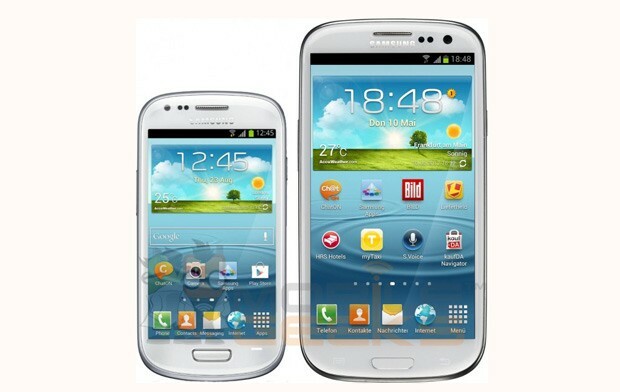 Their new range of products feature names such as the Galaxy SIII, Note, Galaxy Tab and Galaxy Ace, all of which have an array of specs and price tags to suit your budget in which you can check out at http://www.dialaphone.co.uk/. The one thing they have in common though is the assurance of Samsung quality. The latest addition to the Samsung family comes in the form of the Galaxy S3 Mini which suggests something more of a direct lineage than the loose association the aforementioned products have with one another. True, the Mini does appear to be a shrunken version of the spectacular Galaxy S3 which makes it a design centrefold already, but the component spec is geared more towards the mid-range market. The Galaxy Mini doesn’t have things like the quad core 1.4GHz processing power of its big brother but it does have a more than sufficient 1GHz dual core chip which means it runs the Jelly Bean Android 4.1 operating system with speed. As well as having the advantage of bearing Jelly Bean out the box, Samsung’s new mobile phone also has an array of other handy features. Smart alert is one of those things that you really value and other phones fail to implement – vibrating automatically on contact to tell of a message or notification. The battery life is highly convenient with sensible power saving modes and the phones ability to run two windows at once is appealing to app and video fans. The Mini has a 4 inch screen as opposed to the S3’s 4.8 incher, which means the Mini still provides an ample viewing platform but with a distinct one hand navigability. The Galaxy Mini is a mobile phone in its own right but the S3 name means it has an inherent quality.